asty.org – Oh my, whats all that glass doing on the floor! This is not as timely as I’d hoped, but given that the Galaxy S9 is out and deals are everywhere, I wanted to give mention to a phone line which isn’t even on the radar of most Americans. The Galaxy A series from Samsung has a lot of the nice features of the more well-known S series, but are sold completely unlocked and at a much lower price. They generally have higher end features like IP6X waterproofing, and have a nice speaker placement on the side of the phone versus the bottom which I really like. If you prefer your fingerprint reader on the front of your phone, or just like a smaller phone that fits in smaller or even average-sized hands, I highly recommend the Galaxy 2017 A5, which can be had on eBay for well under $300. I would still be using it myself as a daily driver, except that with whole-device encryption enabled (for work of course) there seemed to be some minor stuttering in Youtube. This may have been a temporary issue but something to keep in mind if you need full encryption. This device is waterproof, has great battery life, and something I still love on phones, capacitive home and back buttons! I wish these had not fallen out of fashion recently. One thing to keep in mind is that this line has been around for while, and the older versions are not quite as nice, so I’d definitely stick to the 2017 A5. The 2018 Galaxy A8 is a little bulkier than the S8 in terms of bezels (which I don’t even notice when using a case), and has a more efficient CPU meaning it easily lasts a full day on a charge. As nice as the S8 was, I was constantly coming close to 0% battery by the end of the day and I’m not a particularly heavy phone user. The A8 has an outstanding battery life, nice fluid experience, and a pretty incredible selfie camera. The main drawback to the A8 is the rear camera. If you are obsessed with photos, then definitely consider a flagship like the S9, Google Pixel 2 (or 2XL) or, yes, the iBone if that’s your thing. But if this sounds like your thing, it also can be had for around 400 bucks on eBay. I just want to raise awareness about less known phones out there which are a really good value for most consumers who don’t need mini photo studios in their hand. Let’s be clear: there is no better feeling than the day you break up with your Internet/TV/Phone provider and cut the cord. Every cord cutter knows what their breaking point was. Mine came when I called Verizon this summer to try and get a better price than the $120+ I was paying for (to be honest, decently fast and pretty reliable) FiOS Internet along with an assortment of cable channels we almost never used. But I started to wonder more and more as the bills came rolling in: is that reliability worth such a mark-up, when Verizon was recently offering Internet-only plans for $40 for new customers (and only new customers)? I decided no. Anyway, after making my complaints known, and listening to FiOS customer service hemming and hawing, the best Big Red could do for me was $95/month, still including local channels by the way. Somehow having TV in the bundle actually lowers the price (probably due to some stupid government subsidy). Regardless, still too rich for my blood. Then, I was told when canceling my service on the 2nd call that they could have gotten my cost down as low as $65, if I had figured out how to threaten them in just the right way the first time I called, whatever that means. That was the last straw, goodbye Verizon. Being fortunate enough to live in one of the few areas in America with somewhat of a choice of broadband provider, I signed up with Charter I mean Spectrum for plain and simple Internet. At the best of times, the broadband tests say our speed gets up into maybe the 80 Mbit/s range, and for a much more manageable $40 a month. So I’m willing to forgive a momentary loss of service now and again if my cable modem hasn’t been rebooted recently enough, and it’s suddenly overwhelmed by a tidal wave of kids streaming YouTube and online gaming. We still watch traditional TV occasionally in my house, so we had to find something to satiate that need. We tried Playstation Vue and found it ok, but pricey to get all the channels we wanted. We tried Hulu and I balked at the commercial infestation that comes with their basic $40 TV package, unless you shell out even more money. We more or less had settled on Sling, which had both a mix of channels we liked and features we were used to from years of TiVo: a cloud DVR and ability to pause live TV. Or so we thought. All for about $40, still under Verizon’s ‘best’ deal we could figure out how to get at least. Sling DVR: Nothing is more frustrating than being told you can’t use a feature you’re paying extra to have. But have you used the DVR/live TV pause feature on Sling? Want to pause that NFL Network show you’re watching? Nah. Cartoon Network show? Nope. MSNBC?! That’s right, you can’t pause the news in Sling TV land. If you’ve ever used TiVo or any decent DVR before, you are probably accustomed to watching live TV a certain way and it goes something like: find something you want to watch, select that channel, pause at the first commercial break to let the recording buffer fill up, come back in a few minutes, skip over the commercials, and repeat. Kiss that modus operandi goodbye, dear cord cutter. Nothing is more frustrating than being told you can’t use a feature you’re paying extra to have. And just forget about skipping commercials on the majority of shows you record for later. I really don’t know how it’s possible that Sling managed to negotiate such a bad deal with the channel providers when it came to pausing or commercial skipping, but boy did they do just that. Needless to say we were still on the hunt for an alternative, and despite some promising recent developments in YouTube TV land, a lack of full Viacom and Turner channels meant it was still out of the running for us. 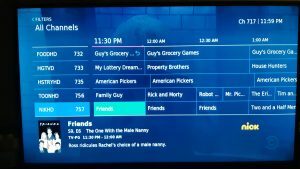 Recently, Spectrum introduced a “TV Stream” package which consists of 25 channels for about 25 bucks, on the idea that if you’re going to pay for a slim TV bundle with only a few channels, you may as well pay them for it. It works on Rokus and most other devices you probaably have and seems to look a lot like an independent streaming offering. But like so many other other streaming services, they pick the channels, and if you don’t like what they’re offering and want more ‘tiers’, the price is going to jump right back up into the same $40+ range you can get almost anywhere else. However, Spectrum also has a very quietly advertised package called TV Choice (confused yet on this naming?) and this is where things get good. As cord cutters, what you always tell others (and yourself) is “I only watch like 5 channels!” Well, time to put your monty where your mouth is. This plan you a whopping 10 channels, from almost any channel package (Turner, Viacom, Scripps, whatever), plus you get your local channels and things like PBS and MeTV as a bonus. It’s the most diverse set of channel options I know of. This worked out great for me because there’s always one channel from group A that we couldn’t get in one of the Sling or other companies’ slim bundles, and many channels we didn’t watch. The effort of picking just 10 though seems easy until you try to do it. Giving up something like all Disney channels because you want Nick and Cartoon Network for your kids, leaving you with just 8 other channels for everything else you watch is just something it takes time to make your peace with. But the control offered is unprecedented for a cord cutter, and I love it. One things Spectrum has done a really great job on is the Watch Spectrum app. In my time using it the past week, I have never had a hiccup on mobile, the roku app, Samsung TV app, it all works flawlessly and all at the same time. 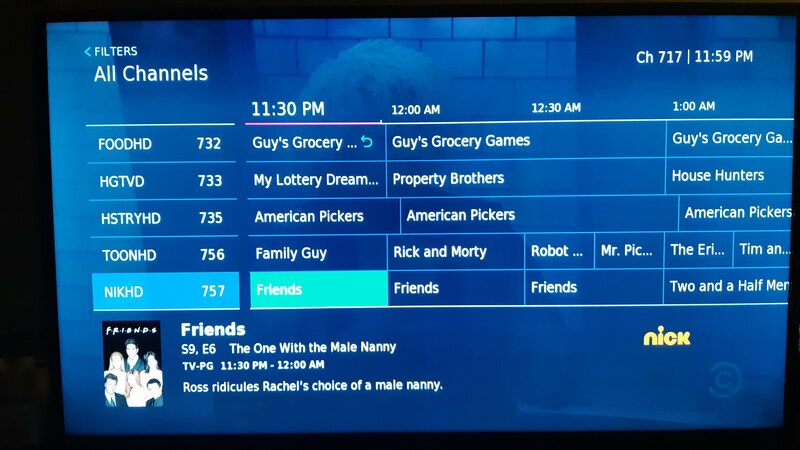 The guide shows you only the channels you’ve actually subscribed to, though the on-demand does show you shows for channels you don’t get. Now for the downsides. First, there’s NO DVR option at all, unless you decide to grab a CableCard for your TiVO or other device, or one of their own pricey mammajammers. I made the mistake of ordering the CableCard at the same time, and thus did not get any channels via the Watch Spectrum app within the promised 2 hours of ordering. When you do this, the order gets configured to wait for the CableCard setup to activate. After 2 calls to support I was finally able to get the service turned on without waiting for the CableCard activation. My advice: even if you want to eventually get a CableCard (which costs a very reasonable $2 per month versus Verizon’s $5) just leave it off the order until after you try out the service. Given how terrible every streaming service’s cloud DVR has been, I’m happy to have to set up my own box, as I’ve been a TiVo devotee for years. Secondly, and something you might not be used to if you’ve long since cut the cord, but now that you’re dealing with cable again, they hit you with those weird broadcast fee and whatever other nonsense that may have made you quit in the first place. So it ends up closer to $25 a month for the basic TV Choice plan. More fine print: after two years this goes up another $10 or so, meaning you’re getting back to around the $35 mark. I sincerely hope by then that the streaming services get more granular with the options they offer, or at least substantially up their DVR game. But for me, this Spectrum package worth it just for the full control you get over the channels you want, and only those channels. Finally, and perhaps most frustratingly, you may not even be eligbile for the service. If you already have TV and Internet service with Spectrum you may not ‘qualify’ for the offer, i.e. why should they offer something when you’re already paying for more. But, maybe that’s just the right way to threaten to cancel your service: ‘give me TV Choice or I’m out of here’. It’s worth it. Decided to add some throwback graphics (circa 2002 – who needs transparent images!) to the new site, and moved providers. Thanks for the great and fast setup DigitalOcean! As expected, the recent state of events where nano transitioned maintainership to Benno Schulenberg, and the project left GNU, has a lot of people speculating about what happened, and more disappointingly, making some pretty nasty assertions about motivations. I want to try and give a brief update on them to hopefully calm things down. Benno took over the project in a hostile way. False. What happened: The project team voted, and while the majority of team had a slight to moderate preference to stay with GNU, many did not care either way. Since Benno could not be the maintainer for nano under GNU’s banner, it made sense to move the project back out from under GNU. When I informed them of what happened, GNU viewed this as Benno forking the project. While that’s true, I don’t believe Benno had any choice but to do exactly that. That does not mean the editor was stolen from GNU or any sort of malice has been committed here.A lot of people who care about nano are trying to do what’s best for it, and GNU and Benno just have different ideas about what that is. I don’t feel I have much say in the matter since, as mentioned, I have not had the time to maintain the project for a long time now, so I am not trying to take sides or place any blame here. If it sounds like I am that is completely unintentional, as I have great respect for both GNU and Benno. Benno took over the website in a hostile way. False. What happened: Mike Frysinger, another member of the project who happens to work with me, came to chat with me about how to transition the project to Benno, since at the time I saw no solution other than letting nano leave GNU and become run by Benno. I (of my own free will) re-pointed the nano website to a new server hosted by Mike. I want to call out Mike and Jordi Mallach for attempting to keep the project whole, or when it became clesr that it could not be kept whole, transition it in a responsible way. The website is a rather trivial part of this project, and is only referenced in one place by the source code. Clearly it has sentimental value to some, but this is really being blown out of proportion.Nano’s website could be anything, nano-editor.org just happened to be something I registered a long time ago, and as it holds sentimental value to me as well (and does not require much overhead to maintain) I continue to hold onto it. If GNU does continue development, it’s unclear what would happen to the domain, but my preference would be to leave it pointed at Banno’s version of the project and use the GNU website for its version. I hope that clarifies at least some of the things being said about this issue, and obviously it’s still not clear what the future holds. This has not been easy for anyone on the project, and I’d ask that people be respectful of all parties involved when trying to determine a way forward.